Welcome, thank you for visiting Geek Alabama, I am glad you are here! Please enjoy the wide variety of posts you can read now on the Geek Alabama front page! Here are some things you need to know while visiting Geek Alabama! First, some information about the owner of Geek Alabama. I am Nathan Young and I am a road, weather, and news junkie geek. I am an Aspie and I do and think things differently than most other people. And I am also the most lovable geek and nerd you will ever meet! Here is my main bio! Nathan has featured numerous shows from the SyFy channel, and has featured with articles and interviews many TV shows such as hit shows “The Walking Dead”, and “My Little Pony: Friendship Is Magic.” Plus Nathan has featured with articles and interviews several movies including the classic “Ghostbusters”, and several shows on streaming services such as Netflix, Amazon Prime, and Hulu. 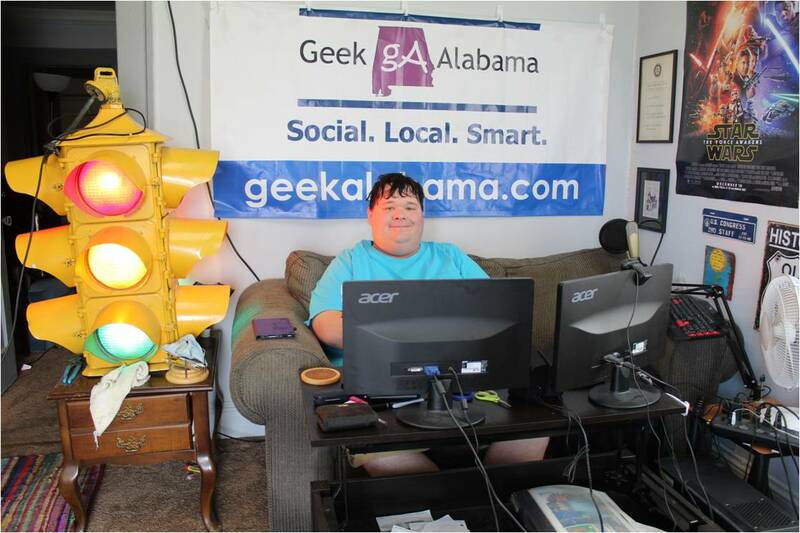 Among the coverage on Geek Alabama he provides, Nathan likes to enjoy road geeking, train geeking, cooking, watching cartoons, and pets / animals. The most interesting fact about him, he draws roads! Nathan Young has experience with writing, website development, social media, photography, videography, blogging, podcasting, and more! I regularly get requests to cover and do things from events, businesses, products, TV shows, movies, books, games, websites, apps, food, conventions, concerts, weather, presentations, infographics, and other reviews. As you can see, I do a lot in the media and online world! If you need to know the most interesting thing about me, I draw roads! Enjoy your visit to Geek Alabama!